On a freezing day, coming back from a long day of work, how does a nice warm cup of soup sound? Here is a simple, delicious soup recipe that can be made ahead to make your week easier! 1. Sautée the diced onion in olive oil. 2. Once onions are translucent, add in the minced garlic cloves and sautée for another 1-2 minutes. 3. Add in vegetable broth and the sliced carrots. Simmer for about 15 minutes, until carrots are tender. 4. Add in the diced apples, turmeric, cinnamon, paprika, and salt. Simmer for about 5 minutes, until apples are tender. 5. Using an immersion (or regular) blender, blend the soup until smooth. 6. Top with a splash of milk or cream and fresh herbs. Carrots contain vitamins, minerals, carotenoids, flavonoids, etc. Because of these nutrients, carrots may be beneficial in preventing cancer and enhancing your immune system. There are also some reports suggesting their effects in preventing diabetes, and lowering cholesterol and blood pressure. How about apples? There’s a saying “an apple a day keeps the doctor away” so they must be really healthy, right? However, many studies show an association between eating apples and a decreased risk of chronic diseases like cardiovascular disease, cancer, and asthma. Apples contain various phytochemicals, many of which have antioxidant and/or anticancer functions. Even if you are not a vegetarian, it may not be a bad idea to have occasional meatless nights. Recent study shows that high plant protein intake was associated with lower overall and cardiovascular death risks while high animal protein intake was associated with increased cardiovascular death. As we reach the end of the summer, it’s time to start enjoying warm soups! 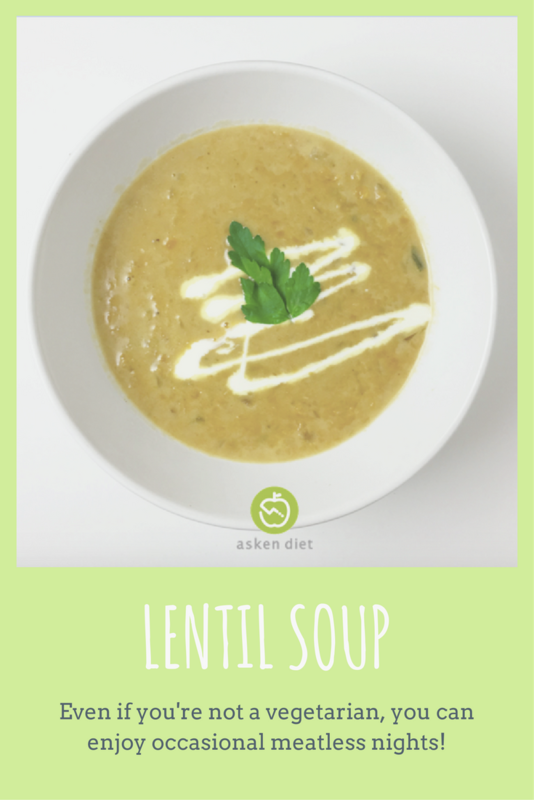 How about trying some plant-protein filled soups like lentil soup? Lentils are a good source of not only plant-protein, but also complex carbohydrate, thiamine, iron, and other nutrients. 1. Song M, Fung TT, Hu FB, et al. Association of Animal and Plant Protein Intake With All-Cause and Cause-Specific Mortality. JAMA Intern Med. 2016 Oct 1;176(10):1453-1463. doi: 10.1001/jamainternmed.2016.4182. 2. USAID. Lentils Commodity Fact Sheet. USAID Web site. https://www.usaid.gov/what-we-do/agriculture-and-food-security/food-assistance/resources/lentils-commodity-fact-sheet. Updated: November 14, 2016. Accessed September 8, 2017.